This evening symposium will be held in Simperman Hall at Carroll College from 6:30pm-10pm and will be facilitated by Chris Fuller, PhD, Associate Professor of Theology and Director for Hunthausen Center for Peace & Justice, Carroll College. 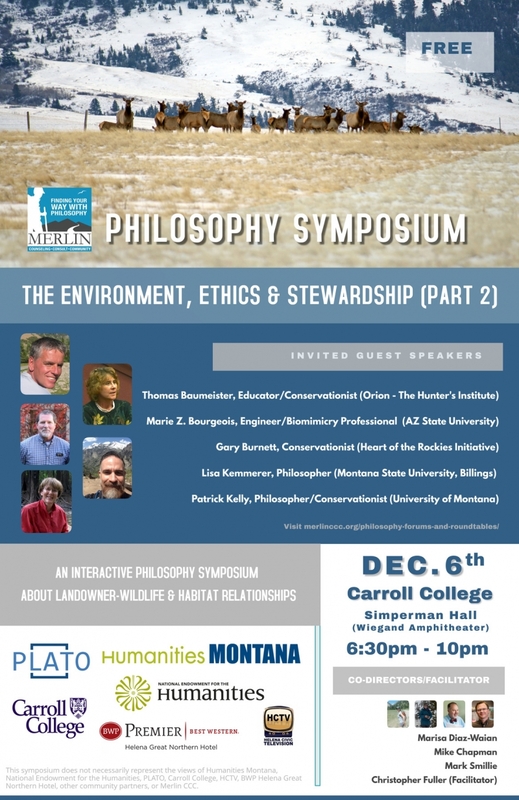 We will be exploring philosophical and other perspectives relative to landowner/steward and wildlife/habitat relationships. 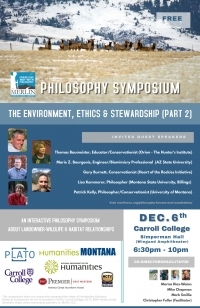 Invited panelists will briefly address the theme and then open the symposium up to general, free-flowing discussion.